« Slow — Proceed with Caution!!!! Back in the thick of it…..
OK so it been a few weeks off the project. its been a few weeks of work and out of town travels but now things are calming down and I was able to spend some hours working the TK project. Tonight I worked on the arm pieces both the upper and lower and it seems to come together real well. 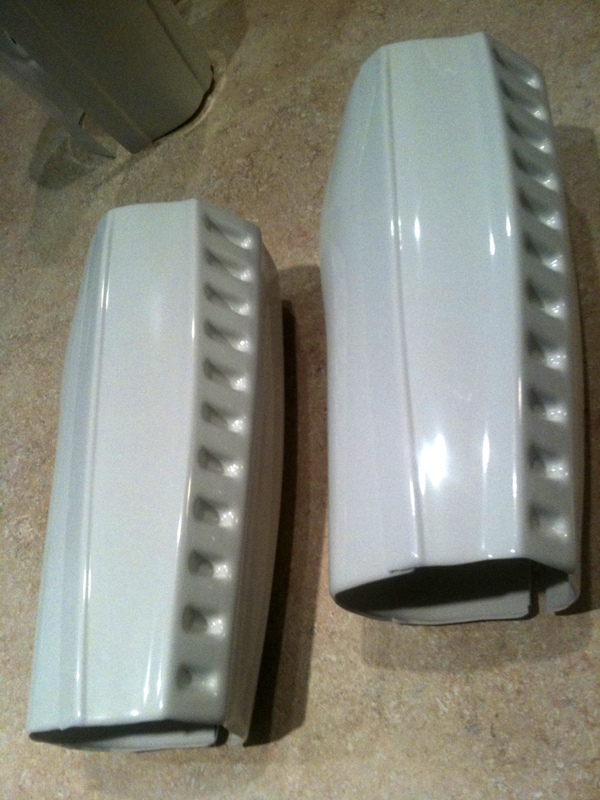 Here are some images of what they look like and you will notice that one side is open and not sealed shut. I am trying to decide what i want to do with them so for the moment nothing has won. so I will be working on the leg pieces next so keep your eyes open for more images and updates to come.